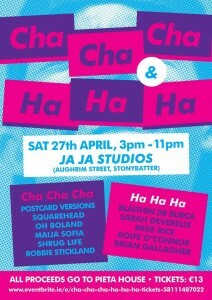 Jaja Studios in Stoneybatter host a frankly unmissable fundraiser for mental health charity Pieta House on April 27. 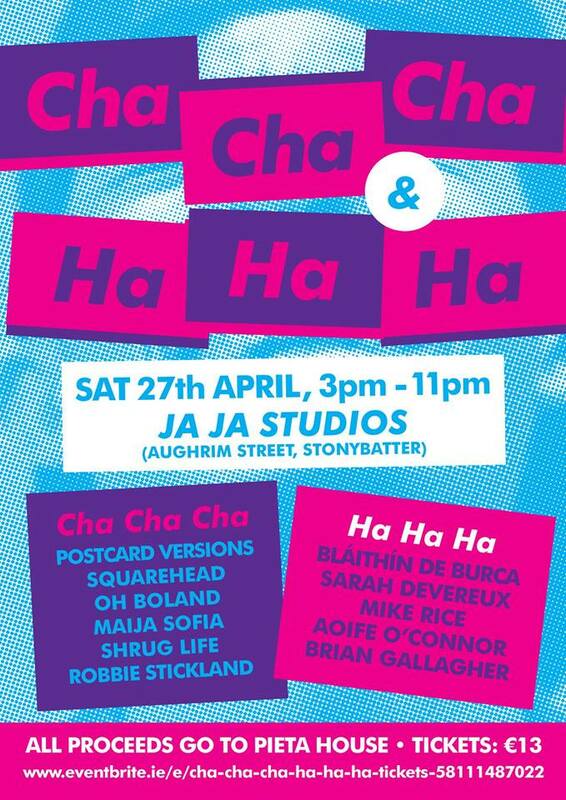 Entitled Cha Cha Cha Ha Ha Ha, the former half of its name comes from the stylings from an assortment of our favourite Irish independent artists Postcard Versions, Squarehead, Oh Boland, Maija Sofia, Shrug Life & Robbie Strickland. The Ha Ha Ha comes from stand-ups like Bláithín de Burca, Sarah Devereux, Mike Rice, Aoife O'Connor and Brian Gallagher. Tickets cost €13 from Eventbrite. Doors open at 2.30pm, and it's a BYO event.